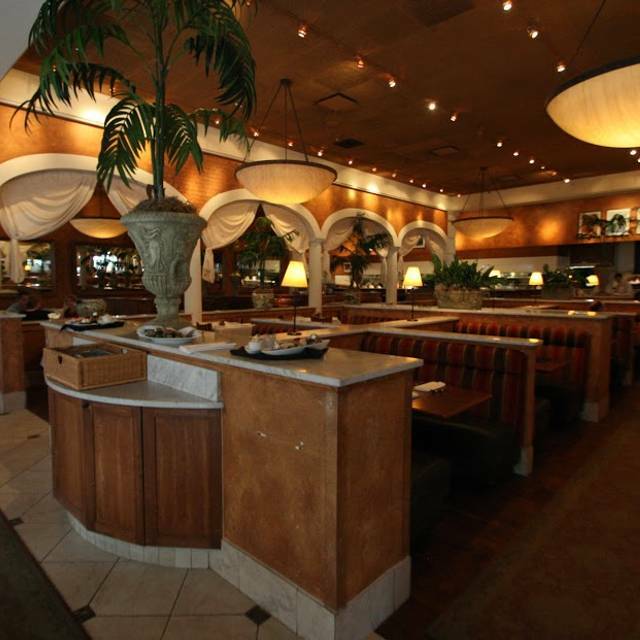 You must make reservations at least 5 minutes in advance of the time at BRIO Tuscan Grille - Richmond - Stony Point. Very nice atmosphere. Food was mediocre at best. Calamari was cold and felt like it came from a Box. This group meets at Brio every month or so. This time our group numbered 10 (whereas we usually are 5 or 6). Our server was not efficient in serving our food and orders came out at very different times. Those several of us who ordered soup & salad received soup first and then a very long wait for salads. Always in the past, those ordering soup & salad received them TOGETHER. The wait for checks was unusually long. We got the feeling that either our server was new or the restaurant was understaffed. Met our son for lunch and always really enjoy Brio. Wonderful restaurant with good food and good deserts! Concern/disappointment re food.... our plates we full and pushed to the side, we asked questions and complained. Put shrimp back on angel hair and increase the garlic... like before. if we go back, I guess you have to complain louder ! The atmosphere, service, and food were excellent as always. Delicious meal and the perfect place to stop for a shopping break! The hostess insists on seating older customers at the back of the restaurant almost in the kitchen in spite of many empty tables and booths.. I usually refuse because of the noise level from the kitchen. but my guest was already seated so I agreed. Our server from the bar area did the best she could but had too many customers to handle. We had to ask other servers several times for help, water, check, etc. Service is usually good but not this time. Food was fine as always. Great food and great experience. Never a disappointment. Food was good and service was great. It was chilly where we were and several people in our group of 12 had to keep their coats on the entire time. I would recommend to a friend with reservation. Brio used to be my "go to" restaurant. But the past two times that I have been there, the service has not been great (yet neither time was crowded). This time, I asked for a salad with grilled salmon. The salad came with grilled chicken instead. When I pointed out to the server that I had ordered it with salmon, she apologized, but did not offer to take it back and correct it. When it was clear she really didn't care, I said that I guess I could eat it with grilled chicken and, instead of insisting that she fix the order, she said nothing. In addition, she disappeared and we waited a very long time from the time she brought our checks to the time she picked up our payment. The time before, the music was extremely loud. It was lunchtime and there were many elderly patrons. We complained about how loud the music was and we were told the amplifier was broken and the volume couldn't be turned down. I ordered the Scallops special and they were given to me BURNT. Very disappointed that you would serve that to anyone. The service was terrible when we could find our server. The food was not good. Very disappointed. Last attempt to give them a chance to get it together. Chicken dish and it was too seasoned she couldn’t eat it. The pasta bolognese was ok. Wine my husband orders was no good, dads so so and at the cost per glass a disappointment.The one things we did like at the table was a shrimp app. Wouldn’t go back. Steaks were not cooked to order. One was overcooked and was way undercooked. Prices have gone up considerably for their steaks. Menu choices have been back. Service was fair at best. Great food and service! The chocolate lava cake is one of the best desserts I have ever had! Nice venue, trained staff, but food was mediocre. Bread was delicious, but salad greens tasted like they came straight out of a bag, and soup was just OK. Will go again and try something different. Lunch was OK. Service was only adequate. The menu has changed. Strangely, no sandwiches or even burgers are offered on the new luncheon menu. Odd. Our group of 12 retirees was served promptly and efficiently. Most of us had the soup and salad lunch special, which were delicious and a good value. The Open Table app made reserving a table worry-free, and phone reminders were appreciated. Thank you for a wonderful experience! My daughter and I went to brunch on March 11, 2019. we were seated immediately and had a very nice waiter who did his best with the number of tables assigned to him. We both ordered the scrambled eggs with bacon, potatoes and bread. The food was not really hot and my biscuit was on the hard site. The meal tasted like it had been sitting for a while. We had quite the wait for our check and had to ask someone to get it. I had hoped the problems had been solved from recently when the whole menu changed at night. We had been going regularly but quit after that change. Now I really am confused about what is happening to what was a special restaurant. 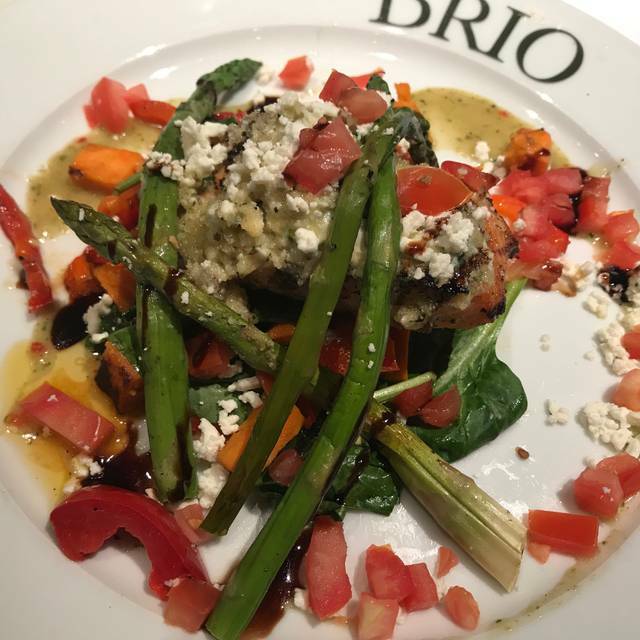 I have been to Brio for lunch, dinner and brunch - enjoyed my meal, etc. this past Friday I ordered Caesar salad with shrimp and I’ve never have had such a skimpy serving anywhere!!!!! Extremely disappointing. I’m meeting friends for lunch tomorrow, preplanned prior to this past Friday. I’m hoping to enjoy my meal and not mention my past experience with my friends. 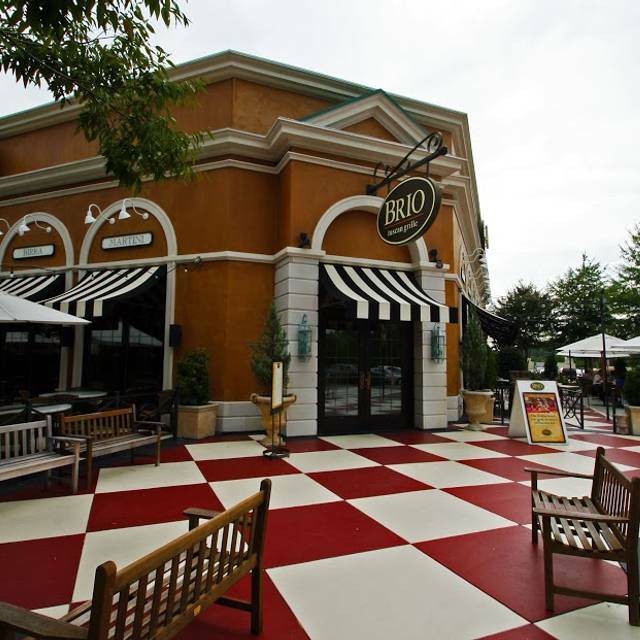 Brio was my and many of my friends favorite places for lunch and dinner. Something besides the menu has changed... the food is not as good and the overall ambience is different.. I miss the Brio that always offered delicious food, wonderful service. And serving hot lava cake on a chilled plate is not appetizing although the cake itself was delicious. Food was barely room temp. Received an email for BOGO from a limited menu which was fine but food was not as I had experienced in the past. Perhaps because it was a promotion. I never send food back. We had a nice lunch; food was good as always and the service was fine. It would be better if the music was not so loud. The last three visits were ok except for the intrusive music. I do not remember music in the past. Please tone it down. Thank you! We understand it was a busy Saturday night and did not mind waiting. The hostesss said she’d wipe our table down really quick before seating the 20+ party next to my husband and I. We were seated almost an hour after hour reservation. The waiter was in a hurry and did not provide good service. We sat for over an hour and never got our food. The manager came by at one point and told us our food would be out in 10 mins. 30 minutes later it still hadn’t come out and we left the restaurant. Very dissatisfied with the server who ignored us to wait on other tables that arrived after us. They got their food, but we never did. We paid for a babysitter so that we could have a nice dinner and instead we wasted our time and our money to go home and eat after putting the kids to bed. We like the food, but we love the Manager Kelsey. Always provides service above and beyond. Excellent service and food was awesome! My only complaint was a 10 minute wait for a cup of decaf coffee at the end of the meal!? Love the new menu that is not so expensive as before! Very nice restaurant in a convenient location. I would suggest a reservation (even for lunch) unless you arrive early. The fresh baked bread was very good and served warm. I had the Mahi Mahi with Broccoli and Rosemary potato's. Mahi was prepared to perfection. My lunch partner ordered a salad with the Shrimp. The size of the Shrimp were smaller than expected. The wine selection is limited and a bit overpriced. Overall, a very nice dining experience. The menu has changed since our last visit and I was disappointed with the current selections. My favorite pasta dish was no longer on the menu. The restaurant was not crowded and the service was slower than what we have experienced in the past. Arrived for our 7:30 reservation and was told it would be about 15 minutes. Had a drink in the bar and at 7:55 I checked in with the hostess who had no idea who I was. She’d apparently forgotten about us as several tables were available. Waiter was terrific and food was delicious but hostess seemed not to care.